A few weeks ago, I won a little giveaway on „Brückenkopf Online„. 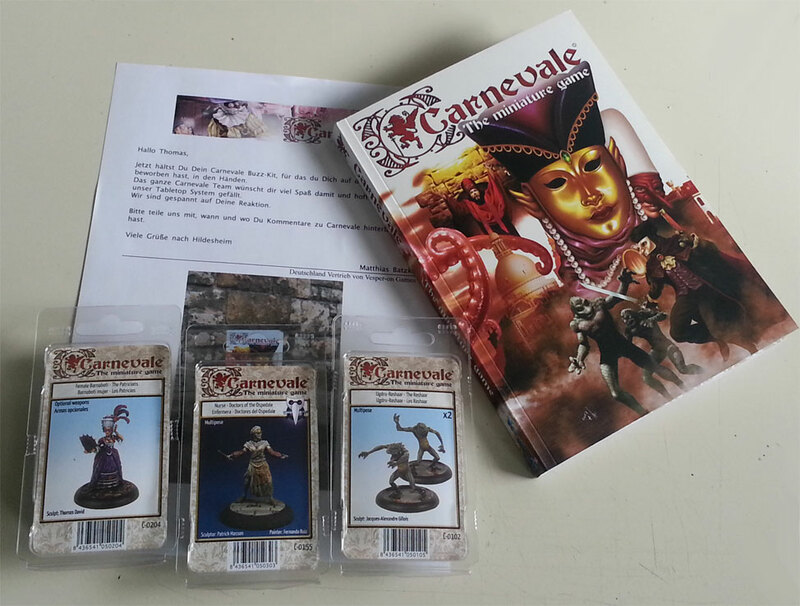 The prize was a „Carnevale – Buzz Kit“ consisting of the Rulebook and three miniature blisters! My task is now to write a detailed review, what in fact is a great favor for me. So in the next weeks I will post some smaller articles where I will review the rules and the included miniatures one by one. After that there will be a small AAR of a scenario I’m going to play to show the rule set and the miniatures in action. Vor ein paar Wochen habe ich auf Brückenkopf Online bei einem kleinen Preisausschreiben gewonnen! Der Preis: Ein Carnevale – Buzz Kit, bestehend aus einem Regelbuch und drei Blistern! Als Gegenleistung habe ich nun die Aufgabe, eine Produktreview zu schreiben, nichts lieber als das! In der nächsten Zeit werde ich also immer mal wieder ein paar kleine Artikel zum Thema Carnevale schreiben, in denen ich über die Regeln, das Regelbuch und natürlich auch die Figuren und deren Bemalung berichten werde. Den Abschluss der Review soll dann ein kleines Szenario bilden, natürlich mit einem ausführlichen Bericht hier im Blog. I haven't heard of this, interested to know more! Some months ago I treated myself to the rulebook and two starters (Patricians and The Guild), but typically I haven't really found time to review them or paint them up. I found the system intriguing, but with a number of weaknesses, though less in the rules (which are sometimes too cluttered up and the magic seems a bit too unpredictable to me – either you win spectacularly with it, or your sorcery fails you and more often the latter, I found) but in the background, which to me as a historian was a bit… too way off… love alternate history but Chechoslovakia in 1796? 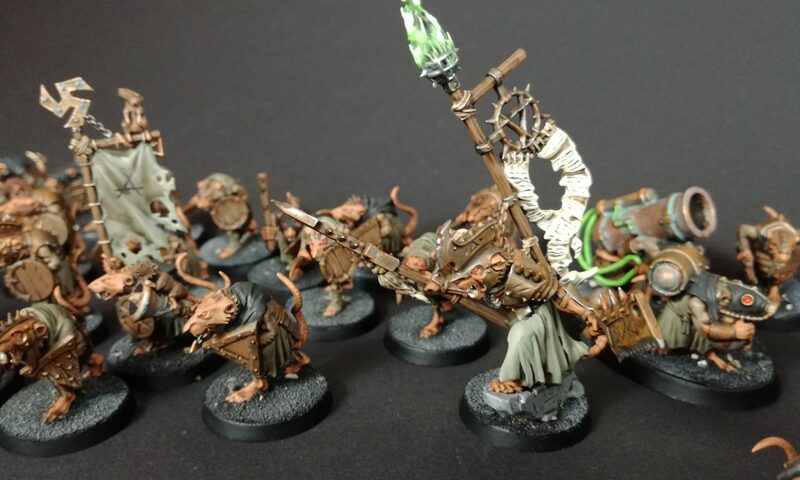 Still I am very fond of this game and especially the miniatures. This is a great giveaway to have won! So many free figures to paint and a game to review. You'll have loads of fun with it! !